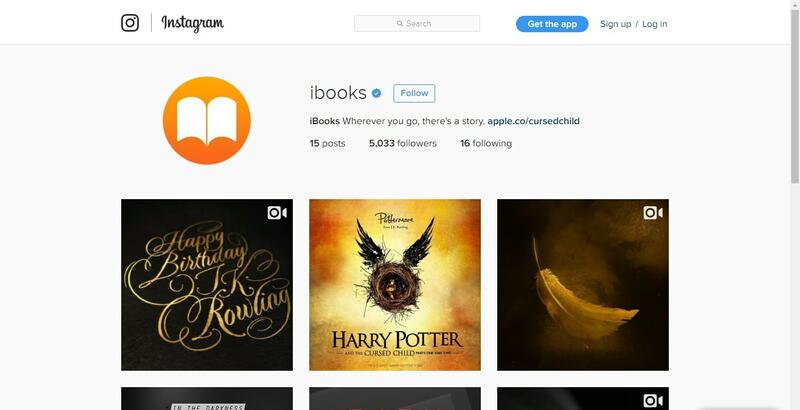 Apple has Twitter accounts for iBooks and Apple News, and now they're expanding onto Instagram. Apple also wished author J.K. Rowling a happy birthday through its new verified Instagram page, but otherwise the content appears to largely be focused on introducing followers to fresh and notable stories through quotes, author spotlights, and unique, short videos. Some of the novels referenced so far on the new page include Blake Crouch's Dark Matter, Emma Cline's The Girls, and Wendy Walker's All Is Not Forgotten. A number of the updates are reposted from other accounts, including Hachette Books and James Patterson.